If you want to turn heads while rolling down Coto De Caza or Laguna Beach roads, you can’t go wrong in a crisp white Jaguar F-PACE from Jaguar Mission Viejo. Explore our inventory to find a new Jaguar F-PACE in white, then contact your local authorized Jaguar retailer for a test drive to experience features like heated seats, keyless, entry, and more! 2019 Jaguar F-PACE 25t Premium w/High Specification. MSRP $52,190 - Our Price $39,890* *Not available with Jaguar Subvented Lease or Retail Programs. You can find this 2019 Jaguar F-PACE 25t Premium and many others like it at Hornburg Los Angeles. This Jaguar includes: SIRIUSXM SATELLITE RADIO HD Radio Satellite Radio XENON HEADLIGHTS W/LED SIGNATURE DRL Daytime Running Lights HID headlights Headlights-Auto-Leveling GLOSS BLACK ROOF RAILS HEADLIGHT POWERWASH CONNECT PRO PACKAGE WiFi Hotspot Smart Device Integration NAVIGATION PRO Navigation System TRAFFIC SIGN RECOGNITION PREMIUM INTERIOR PROTECTION PACKAGE *Note - For third party subscriptions or services, please contact the dealer for more information. * This SUV gives you versatility, style and comfort all in one vehicle. There's a level of quality and refinement in this Jaguar F-PACE that you won't find in your average vehicle. This AWD-equipped vehicle handles well in any weather condition or terrain. You'll benefit from superb handling, improved steering and excellent acceleration. Put away your phone and focus on the road, your new vehicle has navigation. 2019 Jaguar F-PACE 25t Premium w/High Specification. MSRP $52,190 - Our Price $39,890* *Not available with Jaguar Subvented Lease or Retail Programs. This 2019 Jaguar F-PACE 25t Premium is proudly offered by Hornburg Los Angeles This Jaguar includes: SIRIUSXM SATELLITE RADIO HD Radio Satellite Radio XENON HEADLIGHTS W/LED SIGNATURE DRL Daytime Running Lights HID headlights Headlights-Auto-Leveling GLOSS BLACK ROOF RAILS HEADLIGHT POWERWASH CONNECT PRO PACKAGE WiFi Hotspot Smart Device Integration NAVIGATION PRO Navigation System TRAFFIC SIGN RECOGNITION PREMIUM INTERIOR PROTECTION PACKAGE *Note - For third party subscriptions or services, please contact the dealer for more information. * This SUV gives you versatility, style and comfort all in one vehicle. You appreciate the finer things in life, the vehicle you drive should not be the exception. Style, performance, sophistication is in a class of its own with this stunning Jaguar F-PACE. Simply put, this all wheel drive vehicle is engineered with higher standards. Enjoy improved steering, superior acceleration, and increased stability and safety while driving this AWD JaguarF-PACE 25t Premium. Enjoy the drive without worrying about directions thanks to the built-in navigation system. This outstanding example of a 2019 Jaguar F-PACE 25t Premium is offered by Hornburg Santa Monica. This Jaguar includes: SIRIUSXM SATELLITE RADIO HD Radio Satellite Radio XENON HEADLIGHTS W/LED SIGNATURE DRL Daytime Running Lights HID headlights Headlights-Auto-Leveling GLOSS BLACK ROOF RAILS BASIC REAR SEAT CONVENIENCE PACKAGE (PIO) CONNECT PRO PACKAGE WiFi Hotspot Smart Device Integration WHEEL PROTECTION PACKAGE W/CHROME LOCKS (PIO) CAR CARE PACKAGE (PIO) EBONY/TONAL STITCH, LUXTEC SEAT TRIM Premium Synthetic Seats NAVIGATION PRO Navigation System FUJI WHITE TRAFFIC SIGN RECOGNITION 19 INCH WHEELS: 5 SPOKE (STYLE 5037) (STD) Aluminum Wheels PREMIUM INTERIOR PROTECTION PACKAGE *Note - For third party subscriptions or services, please contact the dealer for more information. * Want more room? Want more style? This Jaguar F-PACE is the vehicle for you. Today's luxury vehicle is not just about opulence. It's about a perfect balance of performance, comfort and attention to detail. This 2019 Jaguar F-PACE is the perfect example of the modern luxury. Once you see this Jaguar, you'll quickly see that this is the perfect vehicle for the outdoor junky! You'll even feel relaxed knowing that this All-Wheel drive vehicle will get you to where you are going no matter what may come your way. Also, with this Jaguar F-PACE's dependable control you'll be able to drive into the sunset without a care in the world! Put away your phone and focus on the road, your new vehicle has navigation. Contact Hornburg Santa Monica today for information on dozens of vehicles like this 2019 Jaguar F-PACE 25t Premium. This Jaguar includes: SIRIUSXM SATELLITE RADIO HD Radio Satellite Radio XENON HEADLIGHTS W/LED SIGNATURE DRL Daytime Running Lights HID headlights Headlights-Auto-Leveling GLOSS BLACK ROOF RAILS BASIC REAR SEAT CONVENIENCE PACKAGE (PIO) HEADLIGHT POWERWASH CONNECT PRO PACKAGE WiFi Hotspot Smart Device Integration WHEEL PROTECTION PACKAGE W/CHROME LOCKS (PIO) CAR CARE PACKAGE (PIO) EBONY/TONAL STITCH, LUXTEC SEAT TRIM Premium Synthetic Seats NAVIGATION PRO Navigation System FUJI WHITE TRAFFIC SIGN RECOGNITION 19 INCH WHEELS: 5 SPOKE (STYLE 5037) (STD) Aluminum Wheels PREMIUM INTERIOR PROTECTION PACKAGE *Note - For third party subscriptions or services, please contact the dealer for more information. * This SUV gives you versatility, style and comfort all in one vehicle. You appreciate the finer things in life, the vehicle you drive should not be the exception. Style, performance, sophistication is in a class of its own with this stunning Jaguar F-PACE. This Jaguar F-PACE features AWD. That means power and control delivered to all four wheels for maximum grip and improved handling. Where do you need to go today? Just punch it into the Jaguar F-PACE on-board navigation system and hit the road. This outstanding example of a 2019 Jaguar F-PACE 25t Premium is offered by Hornburg Santa Monica. This Jaguar includes: SIRIUSXM SATELLITE RADIO HD Radio Satellite Radio XENON HEADLIGHTS W/LED SIGNATURE DRL Daytime Running Lights HID headlights Headlights-Auto-Leveling GLOSS BLACK ROOF RAILS BASIC REAR SEAT CONVENIENCE PACKAGE (PIO) HEADLIGHT POWERWASH CONNECT PRO PACKAGE WiFi Hotspot Smart Device Integration WHEEL PROTECTION PACKAGE W/CHROME LOCKS (PIO) CAR CARE PACKAGE (PIO) EBONY/TONAL STITCH, LUXTEC SEAT TRIM Premium Synthetic Seats NAVIGATION PRO Navigation System FUJI WHITE TRAFFIC SIGN RECOGNITION 19 INCH WHEELS: 5 SPOKE (STYLE 5037) (STD) Aluminum Wheels PREMIUM INTERIOR PROTECTION PACKAGE *Note - For third party subscriptions or services, please contact the dealer for more information. * Want more room? Want more style? This Jaguar F-PACE is the vehicle for you. You appreciate the finer things in life, the vehicle you drive should not be the exception. Style, performance, sophistication is in a class of its own with this stunning Jaguar F-PACE. This Jaguar F-PACE is equipped with AWD for improved handling. Whether you're faced with inclement weather or just out enjoying the twisting back road, you'll have the grip of AWD on your side. Enjoy the drive without worrying about directions thanks to the built-in navigation system. $3999 Total Due at Signing Plus 1st Payment, Tax, Title and License Fees, 36 Months, Security Deposit Waived. 7,500 Miles Per Year, 0.30c Excess Mileage Charge. On Above Average Approved 730+Credit through Chase Financial. This outstanding example of a 2019 Jaguar F-PACE 25t Premium is offered by Jaguar Mission Viejo. This Jaguar includes: SIRIUSXM SATELLITE RADIO HD Radio Satellite Radio CONNECT PRO PACKAGE WiFi Hotspot Smart Device Integration EBONY/TONAL STITCH, LUXTEC SEAT TRIM Premium Synthetic Seats NAVIGATION PRO Navigation System FUJI WHITE TRAFFIC SIGN RECOGNITION 19 INCH WHEELS: 5 SPOKE (STYLE 5037) (STD) Aluminum Wheels PREMIUM INTERIOR PROTECTION PACKAGE *Note - For third party subscriptions or services, please contact the dealer for more information. * Want more room? Want more style? This Jaguar F-PACE is the vehicle for you. You appreciate the finer things in life, the vehicle you drive should not be the exception. Style, performance, sophistication is in a class of its own with this stunning Jaguar F-PACE. Once you see this Jaguar, you'll quickly see that this is the perfect vehicle for the outdoor junky! You'll even feel relaxed knowing that this All-Wheel drive vehicle will get you to where you are going no matter what may come your way. Also, with this Jaguar F-PACE's dependable control you'll be able to drive into the sunset without a care in the world! This Jaguar F-PACE is equipped with navigation, so you no longer have to wonder if you're headed in the right direction. This 2019 Jaguar F-PACE is offered to you for sale by Hornburg Santa Monica. This Jaguar includes: GLOSS BLACK ROOF RAILS BASIC REAR SEAT CONVENIENCE PACKAGE (PIO) CONNECT PRO PACKAGE WiFi Hotspot Smart Device Integration CAR CARE PACKAGE (PIO) EBONY/TONAL STITCH, LUXTEC SEAT TRIM Premium Synthetic Seats NAVIGATION PRO Navigation System FUJI WHITE TRAFFIC SIGN RECOGNITION PREMIUM INTERIOR PROTECTION PACKAGE BLACK EXTERIOR PACKAGE WHEELS: 19 5 SPLIT-SPOKE (STYLE 5038) Chrome Wheels Aluminum Wheels Steel Wheels *Note - For third party subscriptions or services, please contact the dealer for more information. * Want more room? Want more style? This Jaguar F-PACE is the vehicle for you. There's a level of quality and refinement in this Jaguar F-PACE that you won't find in your average vehicle. No matter the varying terrain or weather conditions, this all-wheel drive vehicle will help you reach your destination safely and securely in a well-appointed cabin with many features found on cars twice the price. This Jaguar F-PACE is equipped with navigation, so you no longer have to wonder if you're headed in the right direction. This 2019 Jaguar F-PACE 25t Premium is proudly offered by Hornburg Los Angeles This Jaguar includes: SIRIUSXM SATELLITE RADIO HD Radio Satellite Radio XENON HEADLIGHTS W/LED SIGNATURE DRL Daytime Running Lights HID headlights Headlights-Auto-Leveling BASIC REAR SEAT CONVENIENCE PACKAGE (PIO) HEADLIGHT POWERWASH CONNECT PRO PACKAGE WiFi Hotspot Smart Device Integration WHEEL PROTECTION PACKAGE W/CHROME LOCKS (PIO) CAR CARE PACKAGE (PIO) EBONY/TONAL STITCH, LUXTEC SEAT TRIM Premium Synthetic Seats NAVIGATION PRO Navigation System FUJI WHITE TRAFFIC SIGN RECOGNITION 19 INCH WHEELS: 5 SPOKE (STYLE 5037) (STD) Aluminum Wheels PREMIUM INTERIOR PROTECTION PACKAGE *Note - For third party subscriptions or services, please contact the dealer for more information. * Want more room? Want more style? This Jaguar F-PACE is the vehicle for you. Pull up in the vehicle and the valet will want to parked on the front row. This Jaguar F-PACE is the vehicle others dream to own. Don't miss your chance to make it your new ride. This vehicle has an added performance bonus: AWD. It improves handling on those winding back roads, and gives you added safety and control when driving through wet and snow weather conditions. Put away your phone and focus on the road, your new vehicle has navigation. This 2019 Jaguar F-PACE 25t Premium is offered to you for sale by Hornburg Los Angeles. This Jaguar includes: SIRIUSXM SATELLITE RADIO HD Radio Satellite Radio XENON HEADLIGHTS W/LED SIGNATURE DRL Daytime Running Lights HID headlights Headlights-Auto-Leveling GLOSS BLACK ROOF RAILS BASIC REAR SEAT CONVENIENCE PACKAGE (PIO) HEADLIGHT POWERWASH CONNECT PRO PACKAGE WiFi Hotspot Smart Device Integration WHEEL PROTECTION PACKAGE W/CHROME LOCKS (PIO) CAR CARE PACKAGE (PIO) EBONY/TONAL STITCH, LUXTEC SEAT TRIM Premium Synthetic Seats NAVIGATION PRO Navigation System FUJI WHITE TRAFFIC SIGN RECOGNITION 19 INCH WHEELS: 5 SPOKE (STYLE 5037) (STD) Aluminum Wheels PREMIUM INTERIOR PROTECTION PACKAGE *Note - For third party subscriptions or services, please contact the dealer for more information. * Want more room? Want more style? This Jaguar F-PACE is the vehicle for you. Pull up in the vehicle and the valet will want to parked on the front row. This Jaguar F-PACE is the vehicle others dream to own. Don't miss your chance to make it your new ride. Once you see this Jaguar, you'll quickly see that this is the perfect vehicle for the outdoor junky! You'll even feel relaxed knowing that this All-Wheel drive vehicle will get you to where you are going no matter what may come your way. Also, with this Jaguar F-PACE's dependable control you'll be able to drive into the sunset without a care in the world! Where do you need to go today? Just punch it into the Jaguar F-PACE on-board navigation system and hit the road. This outstanding example of a 2019 Jaguar F-PACE 25t Premium is offered by Hornburg Los Angeles. This Jaguar includes: SIRIUSXM SATELLITE RADIO HD Radio Satellite Radio XENON HEADLIGHTS W/LED SIGNATURE DRL Daytime Running Lights HID headlights Headlights-Auto-Leveling GLOSS BLACK ROOF RAILS BASIC REAR SEAT CONVENIENCE PACKAGE (PIO) HEADLIGHT POWERWASH CONNECT PRO PACKAGE WiFi Hotspot Smart Device Integration WHEEL PROTECTION PACKAGE W/CHROME LOCKS (PIO) CAR CARE PACKAGE (PIO) EBONY/TONAL STITCH, LUXTEC SEAT TRIM Premium Synthetic Seats NAVIGATION PRO Navigation System FUJI WHITE TRAFFIC SIGN RECOGNITION 19 INCH WHEELS: 5 SPOKE (STYLE 5037) (STD) Aluminum Wheels PREMIUM INTERIOR PROTECTION PACKAGE *Note - For third party subscriptions or services, please contact the dealer for more information. * This SUV gives you versatility, style and comfort all in one vehicle. Pull up in the vehicle and the valet will want to parked on the front row. This Jaguar F-PACE is the vehicle others dream to own. Don't miss your chance to make it your new ride. Navigate through all the icky weather with ease in this AWD-equipped Jaguar F-PACE, and even get non-stop traction for your non-stop lifestyle! In addition to the amazing traction control, you may even qualify for an insurance reduction with this AWD vehicle. Enjoy the drive without worrying about directions thanks to the built-in navigation system. 2019 Jaguar F-PACE 25T Premium with 22Black Double Helix Factory Wheels. 5 Year/60,000 Mile Warranty and Scheduled Maintenance Included. Lease for only $519 per month. $4,999 Total Due at Signing Including 1st Payment, Tax, Title and License Fees, Acquisition Fee. Security Deposit Waived. 7,500 Miles Per Year, 0.30c Excess Mileage Charge. 36 Months. On Above Average Approved 700+Credit through Jaguar Financial Services. Hornburg Los Angeles is excited to offer this 2019 Jaguar F-PACE. This Jaguar includes: XENON HEADLIGHTS W/LED SIGNATURE DRL Daytime Running Lights HID headlights Headlights-Auto-Leveling GLOSS BLACK ROOF RAILS BASIC REAR SEAT CONVENIENCE PACKAGE (PIO) HEADLIGHT POWERWASH CONNECT PRO PACKAGE WiFi Hotspot Smart Device Integration WHEEL PROTECTION PACKAGE W/CHROME LOCKS (PIO) CAR CARE PACKAGE (PIO) EBONY/TONAL STITCH, LUXTEC SEAT TRIM Premium Synthetic Seats NAVIGATION PRO Navigation System FUJI WHITE TRAFFIC SIGN RECOGNITION 19 INCH WHEELS: 5 SPOKE (STYLE 5037) (STD) Aluminum Wheels PREMIUM INTERIOR PROTECTION PACKAGE *Note - For third party subscriptions or services, please contact the dealer for more information. * Want more room? Want more style? This Jaguar F-PACE is the vehicle for you. There's a level of quality and refinement in this Jaguar F-PACE that you won't find in your average vehicle. No matter the varying terrain or weather conditions, this all-wheel drive vehicle will help you reach your destination safely and securely in a well-appointed cabin with many features found on cars twice the price. Where do you need to go today? Just punch it into the Jaguar F-PACE on-board navigation system and hit the road. Contact Jaguar Mission Viejo today for information on dozens of vehicles like this 2019 Jaguar F-PACE 25t Premium. This Jaguar includes: SIRIUSXM SATELLITE RADIO HD Radio Satellite Radio GLOSS BLACK ROOF RAILS BASIC REAR SEAT CONVENIENCE PACKAGE (PIO) 19 INCH WHEELS: 5 SPOKE W/GLOSS BLACK FINISH CONNECT PRO PACKAGE WiFi Hotspot Smart Device Integration CAR CARE PACKAGE (PIO) EBONY/TONAL STITCH, LUXTEC SEAT TRIM Premium Synthetic Seats NAVIGATION PRO Navigation System FUJI WHITE TRAFFIC SIGN RECOGNITION PREMIUM INTERIOR PROTECTION PACKAGE BLACK EXTERIOR PACKAGE *Note - For third party subscriptions or services, please contact the dealer for more information. * Want more room? Want more style? This Jaguar F-PACE is the vehicle for you. You appreciate the finer things in life, the vehicle you drive should not be the exception. Style, performance, sophistication is in a class of its own with this stunning Jaguar F-PACE. This Jaguar F-PACE is equipped with AWD for improved handling. Whether you're faced with inclement weather or just out enjoying the twisting back road, you'll have the grip of AWD on your side. Where do you need to go today? Just punch it into the Jaguar F-PACE on-board navigation system and hit the road. Contact Jaguar Mission Viejo today for information on dozens of vehicles like this 2019 Jaguar F-PACE 25t Premium. This Jaguar includes: SIRIUSXM SATELLITE RADIO HD Radio Satellite Radio GLOSS BLACK ROOF RAILS BASIC REAR SEAT CONVENIENCE PACKAGE (PIO) 19 INCH WHEELS: 5 SPOKE W/GLOSS BLACK FINISH CONNECT PRO PACKAGE WiFi Hotspot Smart Device Integration CAR CARE PACKAGE (PIO) EBONY HEADLINING EBONY/TONAL STITCH, LUXTEC SEAT TRIM Premium Synthetic Seats NAVIGATION PRO Navigation System FUJI WHITE TRAFFIC SIGN RECOGNITION PREMIUM INTERIOR PROTECTION PACKAGE BLACK EXTERIOR PACKAGE *Note - For third party subscriptions or services, please contact the dealer for more information. * Want more room? Want more style? This Jaguar F-PACE is the vehicle for you. Pull up in the vehicle and the valet will want to parked on the front row. This Jaguar F-PACE is the vehicle others dream to own. Don't miss your chance to make it your new ride. This AWD-equipped vehicle handles well in any weather condition or terrain. You'll benefit from superb handling, improved steering and excellent acceleration. Where do you need to go today? Just punch it into the Jaguar F-PACE on-board navigation system and hit the road. This outstanding example of a 2019 Jaguar F-PACE 30t Premium is offered by Hornburg Santa Monica. This Jaguar includes: 19 INCH WHEELS: 5 SPOKE (STYLE 5037) (STD) Aluminum Wheels SIRIUSXM SATELLITE RADIO HD Radio Satellite Radio CAR CARE PACKAGE (PIO) FUJI WHITE EBONY HEADLINING TRAFFIC SIGN RECOGNITION BLACK EXTERIOR PACKAGE NAVIGATION PRO Navigation System EBONY/TONAL STITCH, LUXTEC SEAT TRIM Premium Synthetic Seats CONNECT PRO PACKAGE WiFi Hotspot Smart Device Integration GLOSS BLACK ROOF RAILS *Note - For third party subscriptions or services, please contact the dealer for more information. * Want more room? Want more style? This Jaguar F-PACE is the vehicle for you. You appreciate the finer things in life, the vehicle you drive should not be the exception. Style, performance, sophistication is in a class of its own with this stunning Jaguar F-PACE. Comfort. Performance. Safety. Enjoy all three with this well-appointed AWD 2019 Jaguar. Where do you need to go today? Just punch it into the Jaguar F-PACE on-board navigation system and hit the road. Contact Hornburg Los Angeles today for information on dozens of vehicles like this 2019 Jaguar F-PACE 25t Prestige. This Jaguar includes: SIRIUSXM SATELLITE RADIO HD Radio Satellite Radio WHEEL PROTECTION PACKAGE W/CHROME LOCKS (PIO) 19 INCH WHEELS: 7 SPLIT-SPOKE (STYLE 7012) (STD) PREMIUM INTERIOR PROTECTION PACKAGE FUJI WHITE GLOSS BLACK ROOF RAILS HEATED WINDSHIELD BASIC REAR SEAT CONVENIENCE PACKAGE (PIO) *Note - For third party subscriptions or services, please contact the dealer for more information. * This SUV gives you versatility, style and comfort all in one vehicle. Pull up in the vehicle and the valet will want to parked on the front row. This Jaguar F-PACE is the vehicle others dream to own. Don't miss your chance to make it your new ride. Simply put, this all wheel drive vehicle is engineered with higher standards. Enjoy improved steering, superior acceleration, and increased stability and safety while driving this AWD JaguarF-PACE 25t Prestige. Put away your phone and focus on the road, your new vehicle has navigation. Contact Jaguar Mission Viejo today for information on dozens of vehicles like this 2019 Jaguar F-PACE 20d Premium. This Jaguar includes: COLD CLIMATE PACKAGE Steering Wheel Audio Controls Heated Rear Seat(s) Transmission w/Dual Shift Mode Heated Steering Wheel Leather Steering Wheel Heated Front Seat(s) Bluetooth Connection BASIC REAR SEAT CONVENIENCE PACKAGE (PIO) CAR CARE PACKAGE (PIO) DRIVE PACKAGE Blind Spot Monitor Cruise Control CONNECT PRO PACKAGE WiFi Hotspot Smart Device Integration 19 INCH WHEELS: 5 SPOKE (STYLE 5037) (STD) Aluminum Wheels TRAFFIC SIGN RECOGNITION LATTE/TONAL STITCH, LUXTEC SEAT TRIM Premium Synthetic Seats KEYLESS ENTRY Keyless Start Power Door Locks Keyless Entry FUJI WHITE BASIC INTERIOR PROTECTION PACKAGE NAVIGATION PRO Navigation System SIRIUSXM SATELLITE RADIO HD Radio Satellite Radio *Note - For third party subscriptions or services, please contact the dealer for more information. * Want more room? Want more style? This Jaguar F-PACE is the vehicle for you. You appreciate the finer things in life, the vehicle you drive should not be the exception. Style, performance, sophistication is in a class of its own with this stunning Jaguar F-PACE. Stylish and fuel efficient. It's the perfect vehicle for keeping your fuel costs down and your driving enjoying up. This Jaguar F-PACE is equipped with AWD for improved handling. Whether you're faced with inclement weather or just out enjoying the twisting back road, you'll have the grip of AWD on your side. Enjoy the drive without worrying about directions thanks to the built-in navigation system. Contact Jaguar Newport Beach today for information on dozens of vehicles like this 2019 Jaguar F-PACE 25t Prestige. This Jaguar includes: SIRIUSXM SATELLITE RADIO HD Radio Satellite Radio WHEEL PROTECTION PACKAGE W/CHROME LOCKS (PIO) DRIVE PACKAGE Blind Spot Monitor Cruise Control 19 INCH WHEELS: 7 SPLIT-SPOKE (STYLE 7012) (STD) PREMIUM INTERIOR PROTECTION PACKAGE FUJI WHITE GLOSS BLACK ROOF RAILS CAR CARE PACKAGE (PIO) BASIC REAR SEAT CONVENIENCE PACKAGE (PIO) *Note - For third party subscriptions or services, please contact the dealer for more information. * Want more room? Want more style? This Jaguar F-PACE is the vehicle for you. You appreciate the finer things in life, the vehicle you drive should not be the exception. Style, performance, sophistication is in a class of its own with this stunning Jaguar F-PACE. Hit the gas pedal and put the engine power to all four wheels. With AWD, you'll have the greater performance right off the line, everytime you drive. Where do you need to go today? Just punch it into the Jaguar F-PACE on-board navigation system and hit the road. You can find this 2019 Jaguar F-PACE and many others like it at Hornburg Santa Monica. This Jaguar includes: SIRIUSXM SATELLITE RADIO HD Radio Satellite Radio WHEEL PROTECTION PACKAGE W/CHROME LOCKS (PIO) DRIVE PACKAGE Blind Spot Monitor Cruise Control WHEELS: 19 7 SPLIT-SPOKE (STYLE 7012) (STD) PREMIUM INTERIOR PROTECTION PACKAGE FUJI WHITE GLOSS BLACK ROOF RAILS CAR CARE PACKAGE (PIO) BASIC REAR SEAT CONVENIENCE PACKAGE (PIO) *Note - For third party subscriptions or services, please contact the dealer for more information. * This SUV gives you versatility, style and comfort all in one vehicle. You appreciate the finer things in life, the vehicle you drive should not be the exception. Style, performance, sophistication is in a class of its own with this stunning Jaguar F-PACE. This vehicle has an added performance bonus: AWD. It improves handling on those winding back roads, and gives you added safety and control when driving through wet and snow weather conditions. This 2019 Jaguar F-PACE is proudly offered by Hornburg Santa Monica This Jaguar includes: SIRIUSXM SATELLITE RADIO HD Radio Satellite Radio WHEEL PROTECTION PACKAGE W/CHROME LOCKS (PIO) DRIVE PACKAGE Blind Spot Monitor Cruise Control WHEELS: 19 7 SPLIT-SPOKE (STYLE 7012) (STD) PREMIUM INTERIOR PROTECTION PACKAGE FUJI WHITE GLOSS BLACK ROOF RAILS CAR CARE PACKAGE (PIO) BASIC REAR SEAT CONVENIENCE PACKAGE (PIO) *Note - For third party subscriptions or services, please contact the dealer for more information. * Want more room? Want more style? This Jaguar F-PACE is the vehicle for you. You deserve a vehicle designed for higher expectations. This Jaguar F-PACE delivers with a luxurious, well-appointed interior and world-class engineering. This Jaguar F-PACE comes equipped with all wheel drive, which means no limitations as to how or where you can drive. Different terrains and varying weather conditions will have little effect as to how this vehicle performs. 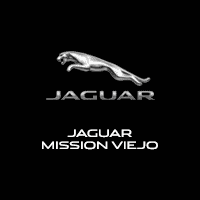 This 2019 Jaguar F-PACE 20d Premium is offered to you for sale by Jaguar Mission Viejo. This Jaguar includes: COLD CLIMATE PACKAGE Steering Wheel Audio Controls Heated Rear Seat(s) Transmission w/Dual Shift Mode Heated Steering Wheel Leather Steering Wheel Heated Front Seat(s) Bluetooth Connection 19 INCH WHEELS: 5 SPLIT-SPOKE (STYLE 5038) Aluminum Wheels BASIC REAR SEAT CONVENIENCE PACKAGE (PIO) BLACK EXTERIOR PACKAGE CAR CARE PACKAGE (PIO) DRIVE PACKAGE Blind Spot Monitor Cruise Control CONNECT PRO PACKAGE WiFi Hotspot Smart Device Integration TRAFFIC SIGN RECOGNITION GLOSS BLACK ROOF RAILS KEYLESS ENTRY Keyless Start Power Door Locks Keyless Entry FUJI WHITE BASIC INTERIOR PROTECTION PACKAGE NAVIGATION PRO Navigation System SIRIUSXM SATELLITE RADIO HD Radio Satellite Radio EBONY/TONAL STITCH, LUXTEC SEAT TRIM Premium Synthetic Seats *Note - For third party subscriptions or services, please contact the dealer for more information. * Want more room? Want more style? This Jaguar F-PACE is the vehicle for you. Today's luxury vehicle is not just about opulence. It's about a perfect balance of performance, comfort and attention to detail. This 2019 Jaguar F-PACE is the perfect example of the modern luxury. Start enjoying more time in your new ride and less time at the gas station with this 2019 Jaguar F-PACE. Enjoy the comfort and safety of this AWD Jaguar F-PACE 20d Premium equipped with many standard features found on other vehicles as optional equipment. Where do you need to go today? Just punch it into the Jaguar F-PACE on-board navigation system and hit the road. Contact Jaguar Newport Beach today for information on dozens of vehicles like this 2019 Jaguar F-PACE 20d Prestige. This Jaguar includes: SIRIUSXM SATELLITE RADIO HD Radio Satellite Radio DRIVE PACKAGE Blind Spot Monitor Cruise Control GLOSS BLACK ROOF RAILS 20 INCH WHEELS: 5 SPLIT-SPOKE (STYLE 5031) Tires - Front Performance Aluminum Wheels Tires - Rear Performance FUJI WHITE *Note - For third party subscriptions or services, please contact the dealer for more information. * Want more room? Want more style? This Jaguar F-PACE is the vehicle for you. There's a level of quality and refinement in this Jaguar F-PACE that you won't find in your average vehicle. No matter the weather conditions or terrain, this Fuji White Solid Pai AWD Jaguar F-PACE handles with an elegant confidence. Fine interior appointments complement this vehicle's unprecedented performance. This outstanding example of a 2019 Jaguar F-PACE 25t Prestige is offered by Hornburg Santa Monica. This Jaguar includes: SIRIUSXM SATELLITE RADIO HD Radio Satellite Radio ADAPTIVE LED HEADLIGHTS W/SIGNATURE DRL Daytime Running Lights WHEEL PROTECTION PACKAGE W/CHROME LOCKS (PIO) DRIVE PACKAGE Blind Spot Monitor Cruise Control 19 INCH WHEELS: 7 SPLIT-SPOKE (STYLE 7012) (STD) PREMIUM INTERIOR PROTECTION PACKAGE FUJI WHITE GLOSS BLACK ROOF RAILS COMFORT & CONVENIENCE PACKAGE Heated Rear Seat(s) Cooled Front Seat(s) Hands-Free Liftgate Heated Front Seat(s) Remote Trunk Release CAR CARE PACKAGE (PIO) BASIC REAR SEAT CONVENIENCE PACKAGE (PIO) *Note - For third party subscriptions or services, please contact the dealer for more information. * Want more room? Want more style? This Jaguar F-PACE is the vehicle for you. Pull up in the vehicle and the valet will want to parked on the front row. This Jaguar F-PACE is the vehicle others dream to own. Don't miss your chance to make it your new ride. Once you see this Jaguar, you'll quickly see that this is the perfect vehicle for the outdoor junky! You'll even feel relaxed knowing that this All-Wheel drive vehicle will get you to where you are going no matter what may come your way. Also, with this Jaguar F-PACE's dependable control you'll be able to drive into the sunset without a care in the world! This 2019 Jaguar F-PACE 25t Prestige is offered to you for sale by Hornburg Santa Monica. This Jaguar includes: SIRIUSXM SATELLITE RADIO HD Radio Satellite Radio ADAPTIVE LED HEADLIGHTS W/SIGNATURE DRL Daytime Running Lights WHEEL PROTECTION PACKAGE W/CHROME LOCKS (PIO) DRIVE PACKAGE Blind Spot Monitor Cruise Control WHEELS: 19 7 SPLIT-SPOKE (STYLE 7012) (STD) PREMIUM INTERIOR PROTECTION PACKAGE FUJI WHITE GLOSS BLACK ROOF RAILS COMFORT & CONVENIENCE PACKAGE Heated Rear Seat(s) Cooled Front Seat(s) Hands-Free Liftgate Heated Front Seat(s) Remote Trunk Release CAR CARE PACKAGE (PIO) BASIC REAR SEAT CONVENIENCE PACKAGE (PIO) *Note - For third party subscriptions or services, please contact the dealer for more information. * Want more room? Want more style? This Jaguar F-PACE is the vehicle for you. You deserve a vehicle designed for higher expectations. This Jaguar F-PACE delivers with a luxurious, well-appointed interior and world-class engineering. This Jaguar F-PACE 25t Prestige comes equipped with all wheel drive, which means no limitations as to how or where you can drive. Different terrains and varying weather conditions will have little effect as to how this vehicle performs. This outstanding example of a 2019 Jaguar F-PACE 25t Prestige is offered by Jaguar Mission Viejo. This Jaguar includes: SIRIUSXM SATELLITE RADIO HD Radio Satellite Radio DRIVE PACKAGE Blind Spot Monitor Cruise Control 19 FULL SIZE SPARE WHEEL Conventional Spare Tire TECHNOLOGY PACKAGE CD Player BLACK EXTERIOR PACKAGE PREMIUM INTERIOR PROTECTION PACKAGE FUJI WHITE 19 INCH WHEELS: 5 SPOKE W/GLOSS BLACK FINISH GLOSS BLACK ROOF RAILS CAR CARE PACKAGE (PIO) EBONY HEADLINING BASIC REAR SEAT CONVENIENCE PACKAGE (PIO) *Note - For third party subscriptions or services, please contact the dealer for more information. * Want more room? Want more style? This Jaguar F-PACE is the vehicle for you. You deserve a vehicle designed for higher expectations. This Jaguar F-PACE delivers with a luxurious, well-appointed interior and world-class engineering. Hit the gas pedal and put the engine power to all four wheels. With AWD, you'll have the greater performance right off the line, everytime you drive. This 2019 Jaguar F-PACE 25t Prestige is proudly offered by Jaguar Mission Viejo This Jaguar includes: SIRIUSXM SATELLITE RADIO HD Radio Satellite Radio DRIVE PACKAGE Blind Spot Monitor Cruise Control BASIC INTERIOR PROTECTION PACKAGE 19 INCH WHEELS: 7 SPLIT-SPOKE (STYLE 7012) (STD) TECHNOLOGY PACKAGE CD Player FUJI WHITE COMFORT & CONVENIENCE PACKAGE Heated Rear Seat(s) Cooled Front Seat(s) Hands-Free Liftgate Heated Front Seat(s) Remote Trunk Release CAR CARE PACKAGE (PIO) 360 SURROUND CAMERA Back-Up Camera GLOSS FIGURED EBONY VENEER Woodgrain Interior Trim BASIC REAR SEAT CONVENIENCE PACKAGE (PIO) *Note - For third party subscriptions or services, please contact the dealer for more information. * Want more room? Want more style? This Jaguar F-PACE is the vehicle for you. Pull up in the vehicle and the valet will want to parked on the front row. This Jaguar F-PACE is the vehicle others dream to own. Don't miss your chance to make it your new ride. This Jaguar F-PACE features AWD. That means power and control delivered to all four wheels for maximum grip and improved handling. This outstanding example of a 2019 Jaguar F-PACE 30t Prestige is offered by Jaguar Newport Beach. This Jaguar includes: SIRIUSXM SATELLITE RADIO HD Radio Satellite Radio WHEEL PROTECTION PACKAGE W/CHROME LOCKS (PIO) BLACK EXTERIOR PACKAGE TECHNOLOGY PACKAGE CD Player DRIVE PACKAGE Blind Spot Monitor Cruise Control PREMIUM INTERIOR PROTECTION PACKAGE 20 INCH WHEELS: 5 SPLIT-SPOKE (STYLE 5031) Chrome Wheels Tires - Front Performance Aluminum Wheels Steel Wheels Tires - Rear Performance GLOSS BLACK ROOF RAILS FUJI WHITE GLOSS FIGURED EBONY VENEER Woodgrain Interior Trim *Note - For third party subscriptions or services, please contact the dealer for more information. * Want more room? Want more style? This Jaguar F-PACE is the vehicle for you. Pull up in the vehicle and the valet will want to parked on the front row. This Jaguar F-PACE is the vehicle others dream to own. Don't miss your chance to make it your new ride. Savor the satisfaction of safety in any condition with this AWD Jaguar F-PACE. Superior acceleration, unmatched traction and stability as well as a luxurious interior round out the impressive features of this AWD Jaguar F-PACE. Enjoy the drive without worrying about directions thanks to the built-in navigation system. Contact Jaguar Newport Beach today for information on dozens of vehicles like this 2019 Jaguar F-PACE 30t Prestige. This Jaguar includes: SIRIUSXM SATELLITE RADIO HD Radio Satellite Radio 19 INCH WHEELS: 7 SPLIT-SPOKE (STYLE 7012) (STD) WHEEL PROTECTION PACKAGE W/CHROME LOCKS (PIO) BASIC REAR SEAT CONVENIENCE PACKAGE (PIO) COMFORT & CONVENIENCE PACKAGE Heated Rear Seat(s) Cooled Front Seat(s) Hands-Free Liftgate Heated Front Seat(s) Remote Trunk Release 360 SURROUND CAMERA Back-Up Camera TECHNOLOGY PACKAGE CD Player EBONY HEADLINING PREMIUM INTERIOR PROTECTION PACKAGE GLOSS BLACK ROOF RAILS CAR CARE PACKAGE (PIO) FUJI WHITE GLOSS FIGURED EBONY VENEER Woodgrain Interior Trim ADAPTIVE LED HEADLIGHTS W/SIGNATURE DRL Daytime Running Lights *Note - For third party subscriptions or services, please contact the dealer for more information. * This SUV gives you versatility, style and comfort all in one vehicle. You appreciate the finer things in life, the vehicle you drive should not be the exception. Style, performance, sophistication is in a class of its own with this stunning Jaguar F-PACE. Take home this 2019 Jaguar F-PACE and enjoy the safety and added performance of AWD. Put away your phone and focus on the road, your new vehicle has navigation. Jaguar Newport Beach is excited to offer this 2019 Jaguar F-PACE. This Jaguar includes: SIRIUSXM SATELLITE RADIO HD Radio Satellite Radio 19 INCH WHEELS: 7 SPLIT-SPOKE (STYLE 7012) (STD) WHEEL PROTECTION PACKAGE W/CHROME LOCKS (PIO) BASIC REAR SEAT CONVENIENCE PACKAGE (PIO) COMFORT & CONVENIENCE PACKAGE Heated Rear Seat(s) Cooled Front Seat(s) Hands-Free Liftgate Heated Front Seat(s) Remote Trunk Release 360 SURROUND CAMERA Back-Up Camera TECHNOLOGY PACKAGE CD Player EBONY HEADLINING PREMIUM INTERIOR PROTECTION PACKAGE GLOSS BLACK ROOF RAILS CAR CARE PACKAGE (PIO) FUJI WHITE GLOSS FIGURED EBONY VENEER Woodgrain Interior Trim ADAPTIVE LED HEADLIGHTS W/SIGNATURE DRL Daytime Running Lights *Note - For third party subscriptions or services, please contact the dealer for more information. * This SUV gives you versatility, style and comfort all in one vehicle. Pull up in the vehicle and the valet will want to parked on the front row. This Jaguar F-PACE is the vehicle others dream to own. Don't miss your chance to make it your new ride. Simply put, this all wheel drive vehicle is engineered with higher standards. Enjoy improved steering, superior acceleration, and increased stability and safety while driving this AWD JaguarF-PACE 30t Prestige. Where do you need to go today? Just punch it into the Jaguar F-PACE on-board navigation system and hit the road. Hornburg Santa Monica is excited to offer this 2019 Jaguar F-PACE. This Jaguar includes: SIRIUSXM SATELLITE RADIO HD Radio Satellite Radio WHEELS: 19 7 SPLIT-SPOKE (STYLE 7012) (STD) WHEEL PROTECTION PACKAGE W/CHROME LOCKS (PIO) BASIC REAR SEAT CONVENIENCE PACKAGE (PIO) COMFORT & CONVENIENCE PACKAGE Heated Rear Seat(s) Cooled Front Seat(s) Hands-Free Liftgate Heated Front Seat(s) Remote Trunk Release 360 SURROUND CAMERA Back-Up Camera TECHNOLOGY PACKAGE CD Player DRIVE PACKAGE Blind Spot Monitor Cruise Control PREMIUM INTERIOR PROTECTION PACKAGE GLOSS BLACK ROOF RAILS CAR CARE PACKAGE (PIO) FUJI WHITE *Note - For third party subscriptions or services, please contact the dealer for more information. * Want more room? Want more style? This Jaguar F-PACE is the vehicle for you. Pull up in the vehicle and the valet will want to parked on the front row. This Jaguar F-PACE is the vehicle others dream to own. Don't miss your chance to make it your new ride. Enhanced performance, a refined interior and exceptional fuel economy are just a few of the things you'll enjoy about this all-wheel drive vehicle. Put away your phone and focus on the road, your new vehicle has navigation. Contact Jaguar Mission Viejo today for information on dozens of vehicles like this 2019 Jaguar F-PACE S. This Jaguar includes: CAR CARE PACKAGE (PIO) FUJI WHITE WHEEL PROTECTION PACKAGE W/CHROME LOCKS (PIO) DRIVE PACKAGE Blind Spot Monitor Cruise Control PREMIUM INTERIOR PROTECTION PACKAGE TECHNOLOGY PACKAGE CD Player LIGHT OYSTER HEADLINING EBONY/LIGHT OYSTER STITCH, PERFORATED GRAINED LEATHER SEAT TRIM Leather Seats *Note - For third party subscriptions or services, please contact the dealer for more information. * This SUV gives you versatility, style and comfort all in one vehicle. Pull up in the vehicle and the valet will want to parked on the front row. This Jaguar F-PACE is the vehicle others dream to own. Don't miss your chance to make it your new ride. This Jaguar F-PACE S comes equipped with all wheel drive, which means no limitations as to how or where you can drive. Different terrains and varying weather conditions will have little effect as to how this vehicle performs. Intricately stitched leather and ergonomic design seats are among the details in which test drivers say that Jaguar F-PACE is in a league of its own Where do you need to go today? Just punch it into the Jaguar F-PACE on-board navigation system and hit the road. This 2019 Jaguar F-PACE 30t Portfolio is offered to you for sale by Jaguar Newport Beach. This Jaguar includes: CABIN AIR IONIZATION FUJI WHITE 360 SURROUND CAMERA Back-Up Camera BASIC REAR SEAT CONVENIENCE PACKAGE (PIO) HEATED WINDSHIELD 20 INCH WHEELS: 10 SPLIT-SPOKE (STYLE 1019) (STD) Aluminum Wheels GLOSS FIGURED EBONY VENEER Woodgrain Interior Trim CAR CARE PACKAGE (PIO) PREMIUM INTERIOR PROTECTION PACKAGE WHEEL PROTECTION PACKAGE W/CHROME LOCKS (PIO) DRIVE PACKAGE Blind Spot Monitor Cruise Control *Note - For third party subscriptions or services, please contact the dealer for more information. * Want more room? Want more style? This Jaguar F-PACE is the vehicle for you. You deserve a vehicle designed for higher expectations. This Jaguar F-PACE delivers with a luxurious, well-appointed interior and world-class engineering. This AWD-equipped vehicle will handle beautifully on any terrain and in any weather condition your may find yourself in. The benefits of driving an all wheel drive vehicle, such as this Jaguar F-PACE 30t Portfolio, include superior acceleration, improved steering, and increased traction and stability. This Jaguar F-PACE is equipped with navigation, so you no longer have to wonder if you're headed in the right direction. This 2019 Jaguar F-PACE 30t Portfolio is proudly offered by Jaguar Newport Beach This Jaguar includes: CABIN AIR IONIZATION YULONG WHITE METALLIC EBONY/TAN STITCH, PERFORATED GRAINED LEATHER SEAT TRIM Leather Seats BASIC REAR SEAT CONVENIENCE PACKAGE (PIO) HEATED WINDSHIELD 20 INCH WHEELS: 10 SPLIT-SPOKE (STYLE 1019) (STD) Aluminum Wheels GLOSS FIGURED EBONY VENEER Woodgrain Interior Trim CAR CARE PACKAGE (PIO) PREMIUM INTERIOR PROTECTION PACKAGE WHEEL PROTECTION PACKAGE W/CHROME LOCKS (PIO) DRIVE PACKAGE Blind Spot Monitor Cruise Control *Note - For third party subscriptions or services, please contact the dealer for more information. * This SUV gives you versatility, style and comfort all in one vehicle. You deserve a vehicle designed for higher expectations. This Jaguar F-PACE delivers with a luxurious, well-appointed interior and world-class engineering. Once you see this Jaguar, you'll quickly see that this is the perfect vehicle for the outdoor junky! You'll even feel relaxed knowing that this All-Wheel drive vehicle will get you to where you are going no matter what may come your way. Also, with this Jaguar F-PACE's dependable control you'll be able to drive into the sunset without a care in the world! Marked by excellent quality and features with unmistakable refined leather interior that added value and class to the Jaguar F-PACE Put away your phone and focus on the road, your new vehicle has navigation. This 2018 Jaguar F-PACE 30t R-Sport is offered to you for sale by Jaguar Newport Beach. This Jaguar includes: HEATED FRONT WINDSHIELD COMFORT & CONVENIENCE PACKAGE Heated Rear Seat(s) Cooled Front Seat(s) Hands-Free Liftgate Heated Front Seat(s) Remote Trunk Release GLOSS BLACK ROOF RAILS LUXURY INTERIOR PACKAGE Multi-Zone A/C A/C Floor Mats Rear A/C BLACK PACKAGE HEAD-UP DISPLAY Heads-Up Display WHEELS: 20 5-SPOKE W/GLOSS BLACK TURNED FINISH Aluminum Wheels TECHNOLOGY PACKAGE WiFi Hotspot CD Player *Note - For third party subscriptions or services, please contact the dealer for more information. * Want more room? Want more style? This Jaguar F-PACE is the vehicle for you. You deserve a vehicle designed for higher expectations. This Jaguar F-PACE delivers with a luxurious, well-appointed interior and world-class engineering. This Jaguar F-PACE features AWD. That means power and control delivered to all four wheels for maximum grip and improved handling. You can find this 2019 Jaguar F-PACE S and many others like it at Hornburg Los Angeles. This Jaguar includes: FUJI WHITE COMFORT & CONVENIENCE PACKAGE Heated Rear Seat(s) Cooled Front Seat(s) Hands-Free Liftgate Heated Front Seat(s) Remote Trunk Release WHEEL PROTECTION PACKAGE W/CHROME LOCKS (PIO) GLOSS BLACK ROOF RAILS DRIVE PACKAGE Blind Spot Monitor Cruise Control 20 INCH WHEELS: 5 SPOKE (STYLE 5035) Chrome Wheels Aluminum Wheels Steel Wheels LUXURY INTERIOR PACKAGE Multi-Zone A/C A/C Rear A/C PREMIUM INTERIOR PROTECTION PACKAGE BLACK EXTERIOR PACKAGE TECHNOLOGY PACKAGE CD Player EBONY/LIGHT OYSTER STITCH, PERFORATED GRAINED LEATHER SEAT TRIM Leather Seats HEATED WINDSHIELD BASIC REAR SEAT CONVENIENCE PACKAGE (PIO) *Note - For third party subscriptions or services, please contact the dealer for more information. * Want more room? Want more style? This Jaguar F-PACE is the vehicle for you. You deserve a vehicle designed for higher expectations. This Jaguar F-PACE delivers with a luxurious, well-appointed interior and world-class engineering. This vehicle has an added performance bonus: AWD. It improves handling on those winding back roads, and gives you added safety and control when driving through wet and snow weather conditions. Marked by excellent quality and features with unmistakable refined leather interior that added value and class to the Jaguar F-PACE Put away your phone and focus on the road, your new vehicle has navigation. This 2019 Jaguar F-PACE S is proudly offered by Jaguar Newport Beach This Jaguar includes: CAR CARE PACKAGE (PIO) ILLUMINATED METAL LOADSPACE SCUFF PLATE FUJI WHITE COMFORT & CONVENIENCE PACKAGE Heated Rear Seat(s) Cooled Front Seat(s) Hands-Free Liftgate Heated Front Seat(s) Remote Trunk Release WHEEL PROTECTION PACKAGE W/CHROME LOCKS (PIO) GLOSS BLACK ROOF RAILS SMARTPHONE PACKAGE Smart Device Integration BROGUE/LIGHT OYSTER, PERFORATED GRAINED LEATHER SEAT TRIM Leather Seats PREMIUM INTERIOR PROTECTION PACKAGE 22 INCH WHEELS: 15 SPOKE W/GLOSS BLACK FINISH Chrome Wheels Tires - Front Performance Aluminum Wheels Steel Wheels Tires - Rear Performance HEAD-UP DISPLAY Heads-Up Display BLACK EXTERIOR PACKAGE TECHNOLOGY PACKAGE CD Player SATIN ASH BURL VENEER Woodgrain Interior Trim BASIC REAR SEAT CONVENIENCE PACKAGE (PIO) 22 FULL SIZE SPARE WHEEL Conventional Spare Tire *Note - For third party subscriptions or services, please contact the dealer for more information. * Want more room? Want more style? This Jaguar F-PACE is the vehicle for you. You appreciate the finer things in life, the vehicle you drive should not be the exception. Style, performance, sophistication is in a class of its own with this stunning Jaguar F-PACE. Savor the satisfaction of safety in any condition with this AWD Jaguar F-PACE. Superior acceleration, unmatched traction and stability as well as a luxurious interior round out the impressive features of this AWD Jaguar F-PACE. Added comfort with contemporary style is the leather interior to heighten the quality and craftsmanship for the Jaguar F-PACE Enjoy the drive without worrying about directions thanks to the built-in navigation system. When you are ready to see a white Jaguar F-PACE in person, visit Jaguar Mission Viejo! If you’ve decided white isn’t your style, browse our inventory to find a black Jaguar F-PACE for sale, or check out our entire collection to take home a new F-PACE in the color you love.